Looking for paintball stores and rentals in Minnesota? Having the correct equipment to play paintball can help you win as well as keep you safe. You could always go to other paintball stores and spend hundreds, or even thousands of dollars on paintball equipment. But why buy your own paintball supplies from the many expensive paintball stores around Minneapolis and Twin Cities area when you can just rent them from us for a very low price. 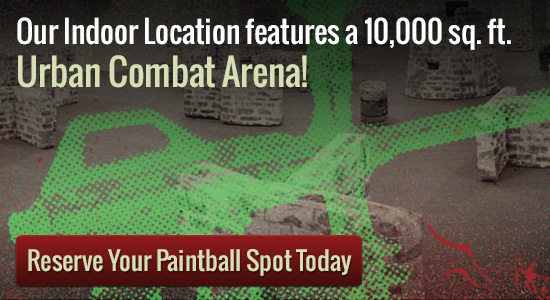 Our premiere indoor paintball park offers low prices for our equipment and games. Paintball can be an entertaining activity for individuals or groupings. It really is a exciting, adrenaline stuffed game that targets teamwork and authority. The normal guidelines of paintball are going to success your opponent having a paintball. It requires to break upon them for your opponent being eradicated. Any item attached to the individual can be strike to get rid of them. However, if the paintball hits an object and the paint gets on your opponent, that is not considered a hit but a splatter. Probably the most frequent paintball game is capture the flag. Within this game you grab other team’s flag and carry it to your foundation. This game calls for teamwork plus a good tactical intend to succeed.